Guerrillas have been very active in the entire solar system lately, as such few official convoys now travel without armed escorts. People say they're preparing a full scale attack against a strategic military objective and they will bring their latest ship class in the fight, the "Anna - V" Destroyer. It is unknown at the moment what specs does this ship have but considering the extraordinary capabilities the other guerrilla ships possess, this destroyer will be a force to be reckoned. 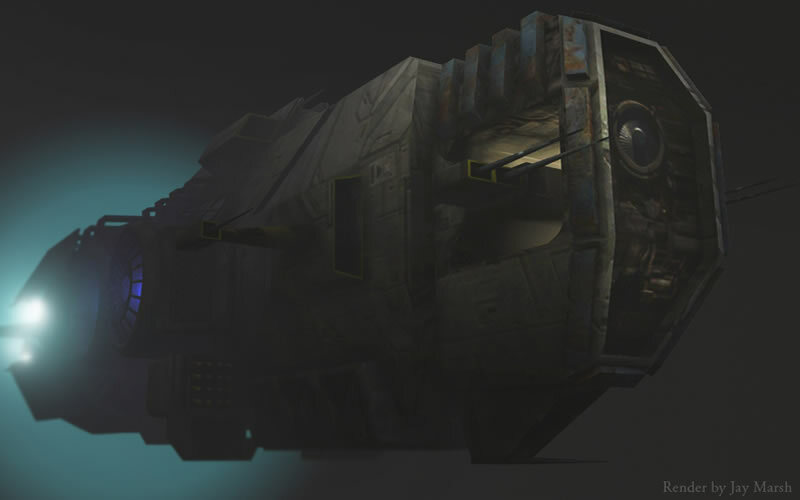 The design is clearly guerrilla, it's uneven, boxy and scrapyard-like style, most likely as with the other guerrilla spaceships, one of a kind.